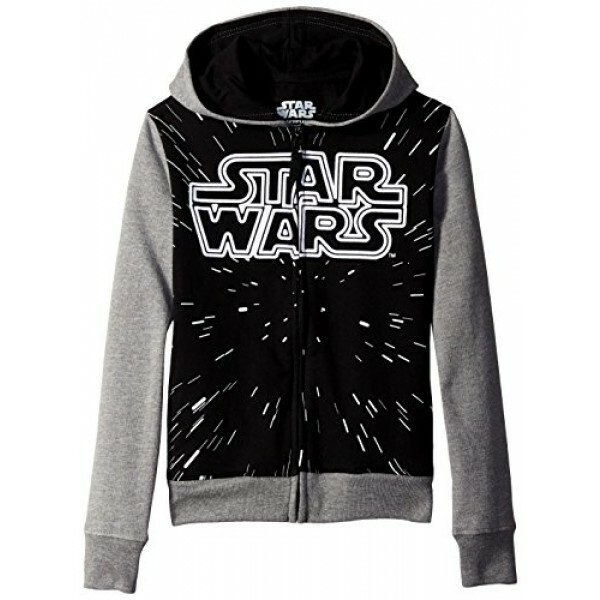 Show off her love of Star Wars with this awesome zip-front hoodie! 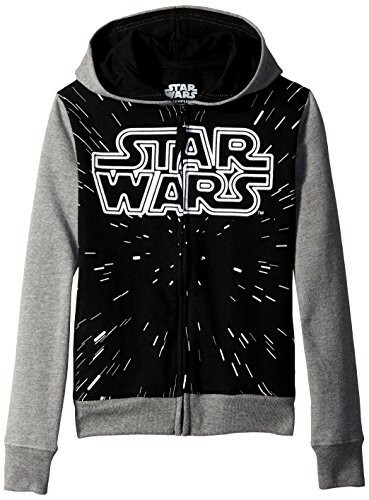 This 60% cotton, 40% polyester fleece hoodie features the Star Wars logo with a lightspeed starfield in the background. Available in children's sizes 4, 5/6, and 6X. For more empowering clothing options for girls of all ages, visit our Clothing Collection.